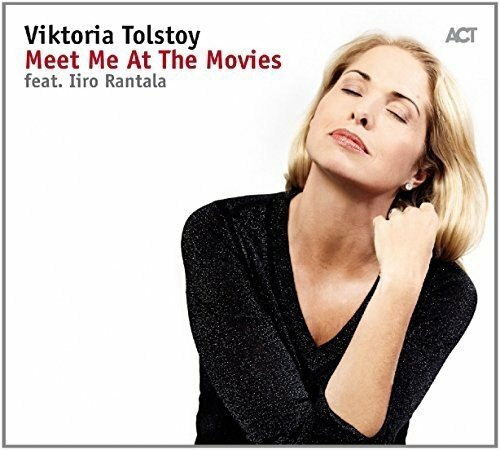 Born in Stockholm on 29th July 1974 Swedish singer Viktoria Tolstoy is of Russian ancestry and is the Great Great Granddaughter of Leo Tolstoy (War & Peace, etc, etc, etc). She has appeared and recorded with top European jazz musicians such as Esbjorn Svensson and Nils Landgran and world legends McCoy Tyner and Ray Brown. In recent years she has toured extensively, performing at major sporting and social events as well as in the concert hall. For this, her eleventh release under her own name, which is produced by Nils Lundgren, she performs with her current working trio alongside two guests. The album covers songs from well known and not so well known films from past decades. The initial realisation one experiences from the first few bars is that she has a honey tinged voice of pure class that is held fully under control at all times . The choice of material is excellent, but vocally it seems to be so perfectly delivered that there is no space for improvisation or stamping the leaders (apparently considerable) personality on proceedings. Things do lift a little with a fine trombone interlude on "Calling You" from Bagdad Cafe and Iiro Rantala's superb piano solo on the Herman/Hupfield evergreen "As Time Goes By" from Casablanca. There are fine contemporary songs such as Bjork's "New World" from Dancer In The Dark and the gorgeous "Angel" by Sarah McLachlan from "City Of Angles, both of which you feel would have made great vehicles for experimentation or at least a more personal approach. All in all this is a very relaxing listen over it's forty nine flawless minutes , but despite the inclusion of two of Europe's finest jazz men does not deliver the attributes normally associated with the usually fine output of the ACT label.